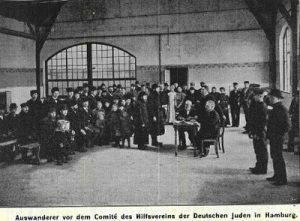 Were (and are) Jewish migrations predominantly the result of persecution and discrimination or were economic motives their main cause? In the five hundred years between 1450 and 1950, huge population shifts occurred in all of Europe that reached a completely new quality and dimension particularly in the first half of the twentieth century. 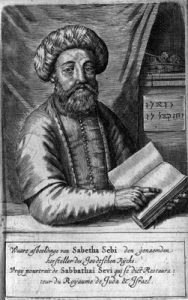 Although Jews only constituted a very small minority of Europe’s population, they lived in different parts of the continent and participated already in the sixteenth century in overseas trade and the colonisation of the New World. 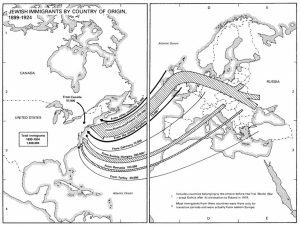 Therefore, the study of Jewish migration history opens a comprehensive perspective on the complex European (and global) migration events after 1500. The normalisation thesis has gained influence since the 1960s – among representatives of general Jewish history as well as among those who study recent Jewish history. 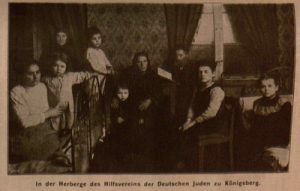 The migrations of Jews and their Christian and Muslim neighbours were in fact often closely intertwined and economic factors were usually decisive in Jewish migrations.7 However, this only holds true until the first half of the 20th century. The expulsions during and after the First World War in Eastern Europe and especially the systematic “resettlement” and annihilation policies of the Nazis were specifically directed against Jews, economic motives were secondary at most. 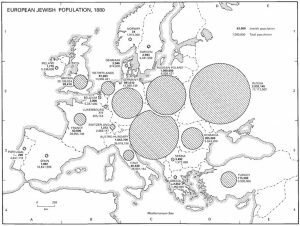 Nevertheless it is true to say that the discussion on the motives of Jewish migrants, regardless of the respective historiographic viewpoint, has effected a more nuanced assessment of Jewish migration processes and a better consideration of the respective context. Israel, Diasporas within a Diaspora 2002. Sheffer, Diaspora Politics 2003; Elias / Scotson, Established and Outsiders 1965. Wischnitzer, To Dwell in Safety 1948; Vital, Jews in Europe 1999; Bartal, Jews of Eastern Europe 2005; Sowell, Migrations and Cultures 1996; Hoerder, Cultures in Contact 2002. Baron, Ghetto and Emancipation 1928, p. 517. Kulischer, Jewish Migrations 1943; Musée d’art et d’histoire du Judaïsme, Juif Errant 2001. Kulischer, Jewish Migrations 1943; Kuznets, Immigration of Russian Jews 1975. Israel, Diasporas within a Diaspora 2002; Ruppin, Soziologie 1930. Bartal, Jews of Eastern Europe 2005; Benbassa / Rodrigue, Sephardi Jewry 2000. Gerber, Jews of Spain 1992. ibid. ; Benbassa / Rodrigue, Sephardi Jewry 2000; Mazower, Salonica 2006. Ravid, Jews of Early Modern Venice 2001. Swetschinski, Reluctant Cosmopolitans 2000; Bodian, Hebrews of the Portuguese Nation 1997; Bernadini, Jews and the Expansion of Europe 2001. Schorsch, Jews and Blacks 2004; Bernadini, Jews and the Expansion of Europe 2001; Wiznitzer, The Exodus from Brazil 1954; Swetschinski, Reluctant Cosmopolitans 2000. 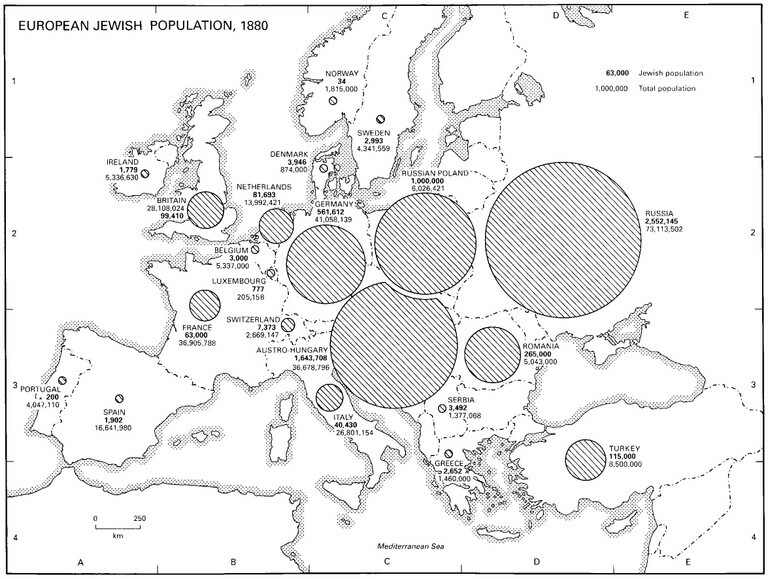 Ruppin, Soziologie 1930; Bartal, Jews of Eastern Europe 2005. Baron, Ghetto and Emancipation 1928; Katz, Out of the Ghetto 1973. Hoerder, Cultures in Contact 2002; Bartal, Jews of Eastern Europe 2005 (defends the pogrom thesis); Klier, Emigration Mania 1996 (criticises the pogrom thesis). Katznelson, Between Separation and Disappearance 1995; cit. acc. to Der Orient28/05/1845, p.170 (transl. by M.O.). Brinkmann, Von der Gemeinde zur “Community” 2002. Kulischer, Jewish Migrations 1943; Ruppin, Judentum 1930; Sarna, Myth of No Return 1981. Ruppin, Soziologie 1930, pp. 67–86; see i.a. : Wirth, Ghetto 1928; Gartner, The Jewish Immigrant in England 1960; Rischin, Promised City 1962; Howe, World of Our Fathers 1976; Zipperstein, Jews of Odessa 1986; Green, Ready-to-Wear and Ready-to-Work 1997; Brinkmann, From Hinterberlin to Berlin 2008. 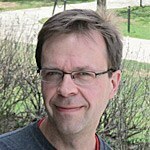 Higham, Strangers in the Land 1955; Zolberg, The Great Wall Against China 1997; Wertheimer, Unwelcome Strangers 1987; Gartner, The Jewish Immigrant in England 1960; Brinkmann, Traveling with Ballin 2008. Gatrell, A Whole Empire Walking 1999; Rechter, Jews of Vienna 2001; Aschheim, Brothers and Strangers 1982; Marrus, The Unwanted 1985. Kulischer, Europe on the Move 1948; Arendt, Origins of Totalitarianism 1951; Wischnitzer, To Dwell in Safety 1948; Marrus, The Unwanted 1985; Higham, Strangers in the Land 1955; Torpey, Invention of the Passport 2000. Wischnitzer, To Dwell in Safety 1948; Rosenberg, Policing Paris 2006; Brinkmann, From Hinterberlin to Berlin 2008; Freitag, Nächstes Jahr in Moskau! 2004; Brown, Biography of No Place 2004; Reynders Ristaino, Port of Last Resort 2001; Roth, Juden auf Wanderschaft 1927; Bechtel, La Renaissance culturelle juive 2001. American Jewish Year Book 1942/1943, pp. 422–430; Friedländer, Nazi Germany 1997; Simpson, The Refugee Question 1939; Adler-Rudel, Evian Conference 1968; Arendt, The Minority Question 2007. Kulischer, Displacement 1943; Bon Tempo, Americans at the Gate 2008. Arendt, The Origins of Totalitarianism 1951; Lederhendler, New York Jews 2001; Elias, Coming Home 2008; Belkin, Ausgerechnet Deutschland! 2010. Anonymous: untitled, in: Der Orient, No. 22 of 28/05/1845, online: http://www.compactmemory.de/library/seiten.aspx?context=pages&ID_0=23&ID_1=430&ID_2=8056&ID_3=1000000000&ID_4=ORIENT_06_0191.tif[29/06/2010]. Brinkmann, Tobias: Von der Gemeinde zur ‘Community’: Jüdische Einwanderer in Chicago 1840–1900, Osnabrück 2002. Green, Nancy: Ready-to-Wear and Ready-to-Work: A Century of Industry and Immigrants in the Women’s Garment Trade in Paris and New York, Durham (NC) 1997. Musée d’art et d’histoire du Judaïsme (ed. ): Le Juif Errant, Un Témoin Du Temps, Paris 2001. Penslar, Derek: Shylock’s Children: Economics and Jewish Identity in Modern Europe, Berkeley 2001. Rischin, Moses: The Promised City: New York’s Jews 1870–1914, Cambridge (MA) 1962. This entry was posted in Early Modern, History, Immigration, Jewish, Jews, Judaism, Medieval, Middle Ages. Bookmark the permalink.